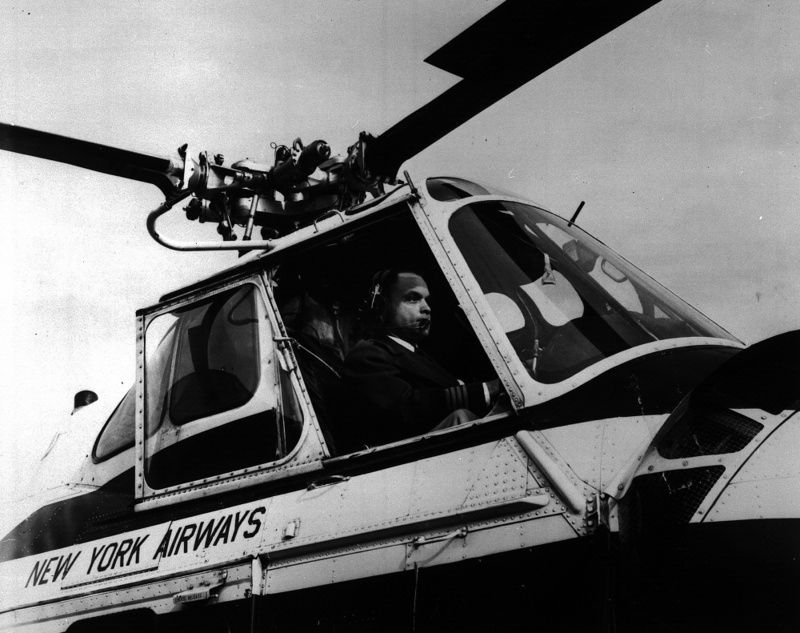 Perry Young, a pioneer aviator in vertical flight, in the cockpit of his New York Airways Sikorsky S-55 helicopter. Perry Young, a pioneer aviator in vertical flight, in the cockpit of his New York Airways Sikorsky S-55 helicopter. Hired in 1956, he became the first black to fly for a commercial airline.